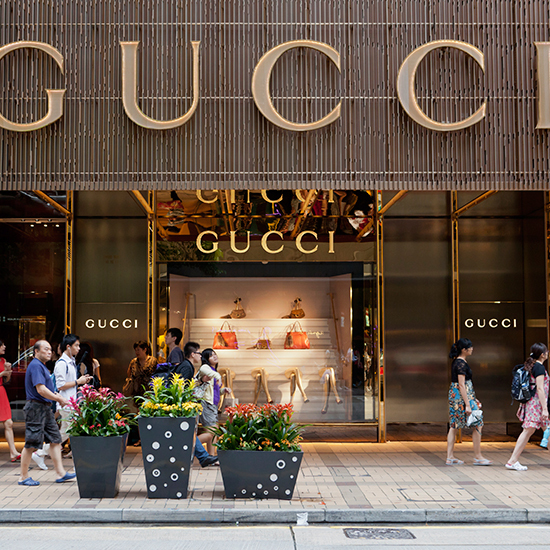 If slinging a Gucci leather tote over your shoulder or wearing Gucci cat-eye sunglasses while wrapped in your Gucci printed silk-twill scarf doesn’t do enough to show off your commitment to a luxury lifestyle, now you can put your money where your mouth is – by eating at a Gucci restaurant. According to The Daily Meal, the primarily Italian menu is surprisingly inexpensive. Patrons can grab a two-course prix fix lunch for just $24 or a prix fix dinner for around $50. With prices like that, you’d think you were dining at the Gucci Outlet restaurant! Can’t make it all the way to Shanghai? Don’t worry. I’m sure it’s only a matter of time before someone opens a knockoff Gucci restaurant in Chinatown.